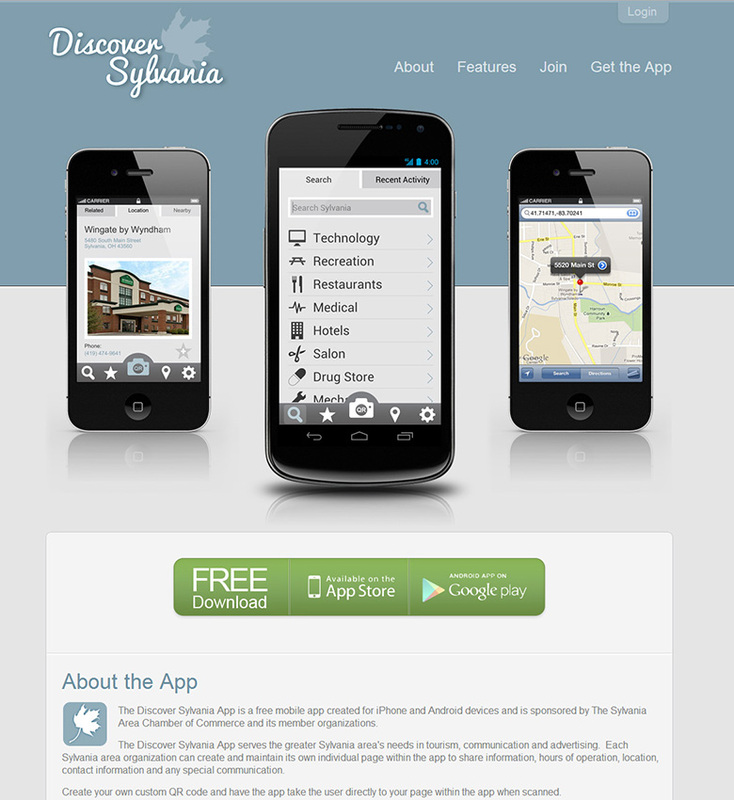 The Discover Sylvania App provides users with detailed information on Sylvania-area businesses. The app can scan a special QR code on-location using the device’s camera to bring up that business’s page. 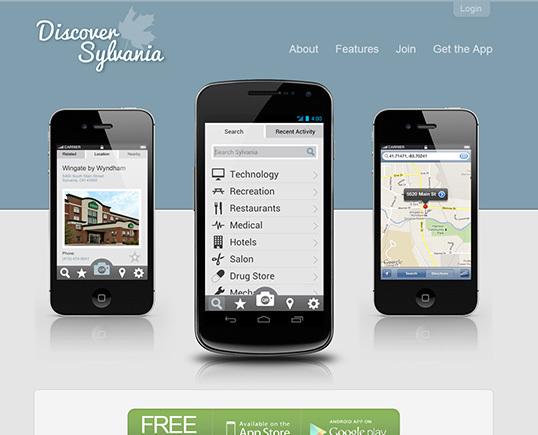 The device’s GPS can also be used to locate nearby businesses. We also developed a management interface so that the businesses can manage their own page in the app – changing their name, image, hours, address, description, etc.